Adam and I have been on the road for four and half months and we have definitely experienced our fair share of adventure, usually in the “let’s go for a hike” sense but other times in the “did we really just sleep on top of a mountain” sense. 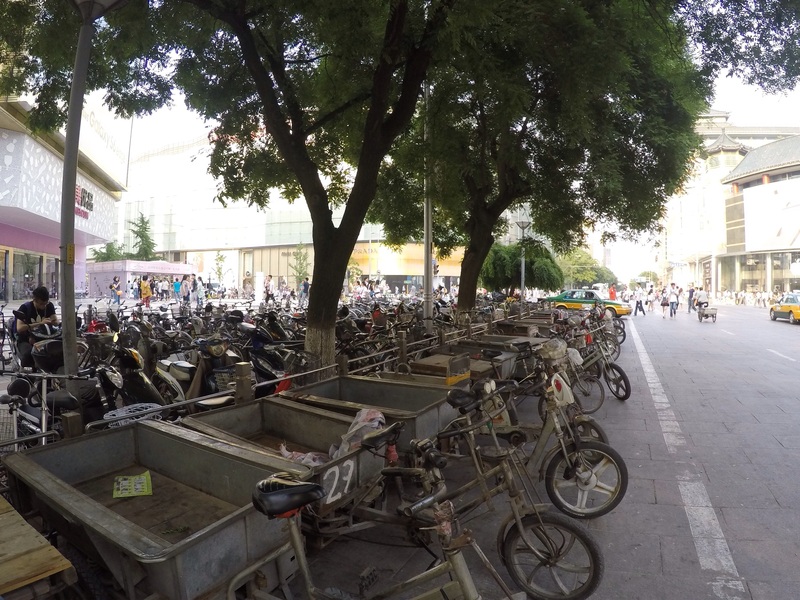 We live for adventure but I have to admit…we were nervous about visiting Beijing, China. After spending a month in the US and two weeks in Europe, we had started getting used to hearing English and eating familiar foods. China was going to be an experience for all of our senses and we are happy to report that China. Is. Wonderful. 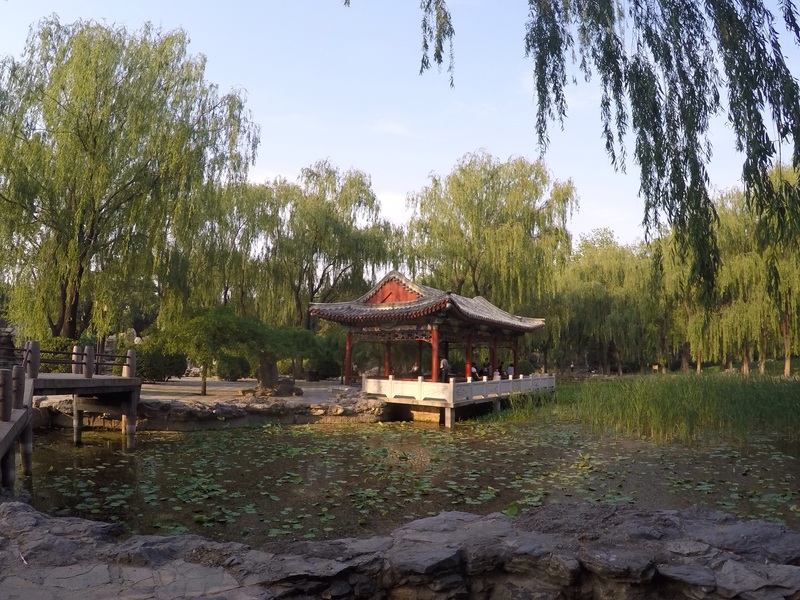 With over 20 million people, ancient sites and impressive modern architecture, Beijing is unlike any other city that we’ve visited. 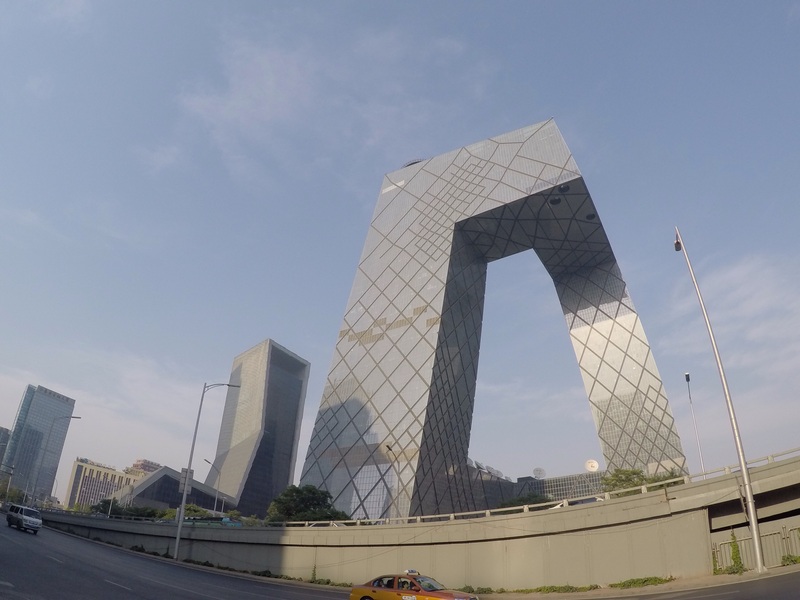 There are some seriously crazy new buildings in Beijing! Beautiful views at Temple of Sun Park. DO use the subway to get around town. It’s safe, cheap, and very easy to navigate. All signs are in both Chinese and English, and all announcements are made in English as well. If you can, grab a subway map from your hotel to help you plan your trip and navigate as you go. DON’T drink the tap water, it is not safe. Bottles of water can easily be found at any of the small convenience stores scattered throughout the city. DON’T cross the street without looking in all directions, twice, even if you have the ‘walk’ signal. There are buses, cars, mopeds and bicycles on the road and they all seem to follow their own rules of the road. The biggest vehicle should always have the right-of-way which means if you’re walking on foot and not paying attention, you’re going to lose. Watch out for these guys! They’re everywhere and you don’t need a drivers license to drive them. DO expect to be served rice, noodles and soy sauce for breakfast. Say goodbye to your bowl of fruit loops and blueberry pancakes. Locked outside of The Forbidden City! DO eat dumplings and peking duck. Highly, highly recommend Mr. Shi’s for dumplings and Da Dong Roast Duck for their lean duck. Quick tip on the duck: one is enough for two people, and since it is served with a condiment tray, soup, fresh fruit and a dessert, you definitely won’t leave hungry. DON’T be surprised if people stare at you or want to take a picture with you. We’re not sure if it’s Adam’s height, his massive beard, or his downright good looks that’s turning heads in China but he is definitely an attraction for the locals. We’ve seen everything from a 360 degree stop-and-stare, to a wide-eyed, mouth open double take. In fact, our visit at The Great Wall was interrupted a few times by people wanting to take pictures with us! I only wish I could see what they were posting about us on social media. 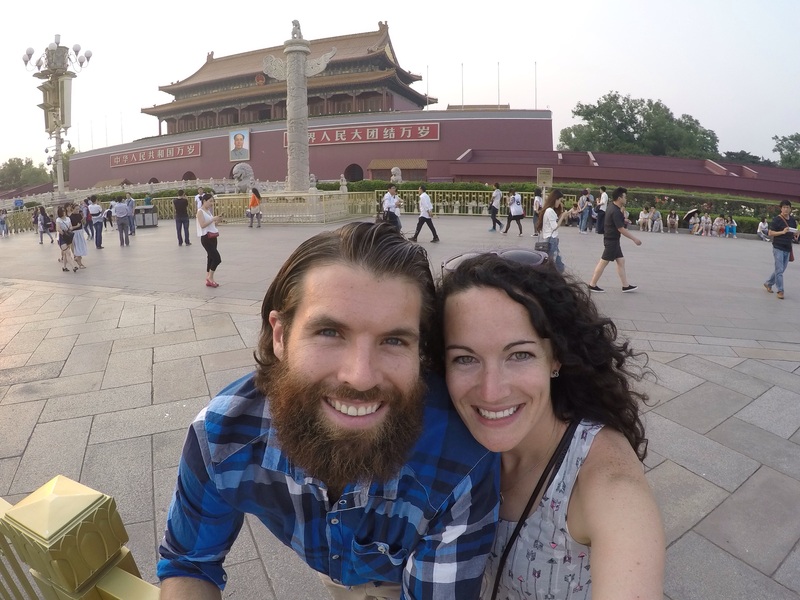 To see a video recap of our time in Beijing, including footage from The Great Wall, Mr. Shi’s and Tiananmen square, click the link below or visit the “Kimblesinbits” YouTube channel! Loved the slide from the Great Wall and the boat! Seriously? That gondola and toboggan ride?? Kimbles . . . PLEASE take me away!!!!! I love your video updates and they are just amazing!